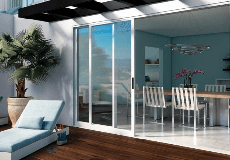 What to do after the window and door installation to get the most out of your investment. Congratulations on your new windows and doors! You have accomplished a significant project that adds value and enjoyment to your home. Take the time to complete a thorough inspection of your new windows and doors. Read through our six-step checklist to ensure everything is complete after the installation. Check the operation and locking mechanisms of your product. If something does not feel right, contact your dealer or installer. Add regular care and maintenance of your windows and doors to your basic household chores. Milgard products are designed to require very little maintenance and just a routine checkup can ensure smooth performance for years to come. Download your free copy of the Milgard Care and Maintenance Guide. Keep all receipts and paperwork, including any product labels. Your windows come with NFRC labels and corner clings. Remember to keep them with your paperwork. If you installed energy efficient windows, you might be eligible for a rebate with your local energy provider. Apply for the rebate to gain some extra savings. Read over the product warranty. You can access Milgard’s Full Lifetime Warranty online at any time. If anything is confusing, contact the customer service department at 1 800 MILGARD. Register your warranty. It takes just a few minutes and doing so keeps your information on file for Milgard. If an issue should arise in the future, it expedites the process of setting up a service call. Happy with the results? Be sure to let friends and acquaintances know, particularly if they're interested in having similar work done. Take the time to write a review for those involved in your project. People always appreciate such recommendations. And it's a great way to reward contractors for a job well done. Register your warranty online in just a few moments. With just a little routine care and cleaning, you can ensure your windows and doors will continue to perform their best while looking great. Share the unique journey behind your new windows and doors.